Employer paid disability is governed by ERISA law. According to this article that appeared in the Los Angeles Daily Journal, a whopping 75% of long-term disability claims are denied. ERISA (Employee Retirement Income Security Act) was enacted in 1974 to establish a minimum set of standards for pension in the private industry. A part of the law also governs the short and long-term disability for employees in the private sector. The Short-Term Disability Insurance pays a portion of your income for a short period of time if you're unable to work and have exhausted your sick leave. This is usually applicable from 9 weeks to 52 weeks with the median being around 26 weeks. 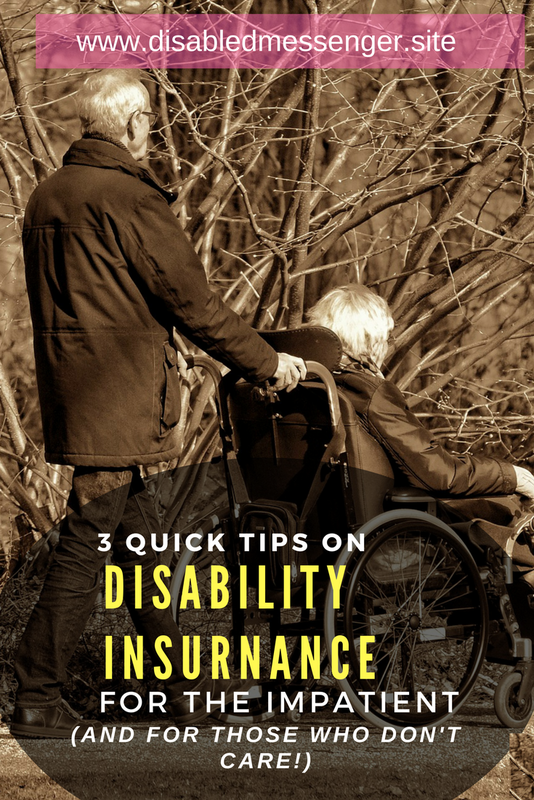 The Long-Term Disability Insurance pays a portion of your income after you have exhausted both the short-term disability as well as the sick leave. In theory, this will pay a portion of your income until the age of retirement. 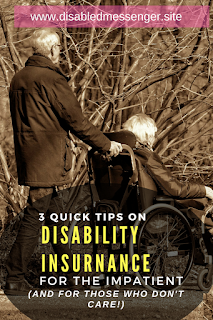 Of course, if you receive some portion of your money through other plans, like your state short-term disability program, or eventually, if you're sick for a longer term, through Social Security disability, then the disability insurance company will only pay the remainder of the benefits that you are entitled to. For example, if your plan covers 60% of your income, and you receive 33% through your state short-term disability, the insurance company will pay the rest 27% (60 - 33 = 27). What are the problems with ERISA? Long drawn court cases: The law has a provision to allow you to file a lawsuit against the company. The attorney who will take your case will usually do it on a retainer basis-meaning that there will be no upfront charges to you but if there is any payment made out to you, they will take anywhere from 25% to 40% of the total amount due to you. In essence, the portion of your income that you eventually receive gets significantly reduced. Getting to the legal stage can take several months to a few years. All this while, you are not getting paid while your medical expenses presumably continue to pile up. Most people start getting desperate and are ready to settle for a fraction of the amount due to them. They will get detectives to videotape you while going to doctors visits (they will usually know the dates of scheduled visits from the documentation that you provide as part of claim processing). Then they will try to show that since you have performed some kind of physical activity to go to a doctor, you are really not disabled. One simple way is to show the patient walking from the parking to the entrance of the clinic, and argue that the patient exhibited no sign of disability. In many cases of chronic illness, the patient often develops anxiety or depression as a side effect. Since usually, the insurance benefits for disability due to mental health are very limited, the insurance company will attempt to prove that the disability is actually due to mental problems and not because of physical limitations. After two years of disability, most policies will continue to pay only if the patient is not suited to work in any occupation as opposed to the occupation that she was in prior to becoming disabled. The insurance company will then hire a vocational consultant to prove that you can work in some other occupation. Of course, this ignores the realities of hiring - potential employers may be looking for some experience in the advertised job profile or there may not be enough vacancies available in your area. Countering all of this requires a significant amount of documentation from you and your medical practitioner. Even if you are willing to do the work, your medical practitioner may not be so inclined. So what can you do to protect yourself.? There is really no silver bullet. But there are a couple of action items that you can take to mitigate the risk. Consider Purchasing an Individual Private Disability Insurance Policy. As compared to employer group disability insurance policies that are governed by ERISA, individual private disability insurance policies are governed by the state law. This means that if your claim is denied, you can directly file a lawsuit in state court without first waiting to file an appeal with the disability insurance company. Also, you can present much more evidence in the case of denial for an individual private disability insurance policy as compared to that governed by ERISA law. You can get more details here. The ability to provide more evidence can dramatically improve your chances of proving disability. On the flip side, the individual private disability insurance policies cost a lot more than the employer-provided group policy. Pay the Premiums of Your Employer Group Health Policy with Your After-Tax Dollars. In many cases, your employer will offer you the choice of paying the premium of the disability insurance policy with your after-tax dollars. If you do that, there will be no taxes withheld on any of the disability payments that will be paid to you. This alone can make a big difference in you being able to afford medical care while waiting for the legal process to play out after a denial. Do Not Hesitate to Take Short-Term Disability Many employees, myself included, tend to continue to work when first faced with the symptoms of a possible chronic illness. To be fair, it is hard to figure out prognosis of many illnesses like fibromyalgia and Repetitive Stress Injury. So the usual course of action is to continue to work until it becomes really difficult. But given the differences in the way the law treats short-term disability and long-term disability, it is more beneficial monetarily to take short-term disability and attempt to get a better handle on your symptoms, rather than continue working and risk landing into long-term disability dragnet. Do not Rush to Accept a Part-Time Job Offer Sometimes, an employer will offer the employee a part-time job opportunity.This can be a double-edged sword. On one hand, there is a chance of continuing to get an income while having more time to devote to your treatment. At the same time, a part-time job mostly will not have disability insurance benefits. So if the medical condition worsens and the employee is not able to work any longer, she would have also lost out on the potential disability insurance benefits. It would have been better for her to go on disability on a full-time job rather than trying out a part-time job first. We are very impressed to see your blog. However, we are official agents for leading insurers across the country. Our goal is to supply each and every customer with quotes from those insurance companies so that they can compare their options, and choose the right Short Term Disability Insurance coverage for their needs. We’ve successfully helped thousands of clients do just that.